With West End premieres, as well as world premieres and National Theatre transfers, 2019 will showcase the world’s best-known performers on stages across Theatreland. Don’t miss out on your chance to visit the West End to see a show opening this year. Sally Field and Bill Pullman will play Kate and Joe Keller in All My Sons, an Arthur Miller play that looks at the cost of the American Dream after the war. When the family struggles to comprehend that one of their sons could be missing after serving the country, each person begins to open up about their life, telling stories previously repressed to the back of their minds. All My Sons will play from 15th April to 8th June. Tom Burke and Hayley Atwell lead the cast of Rosmersholm. Duncan Macmillian has adapted the 19th century Henrik Ibsen text in a modern retelling of the powerful story, where politics, love and ethics blend together in a dramatic production. Rosmersholm will play from 24th April to 20th July. Kelsey Grammer and Danielle de Niese will star in Man of La Mancha, playing in the West End throughout 2019. Telling the story of a Spanish man’s rise to nobility by serving as a knight named Don Quixote, see Quixote and his sidekick Sancho Panza chase “The Impossible Dream” on their quest to battle evil and not be led astray by evil influences around them. Man of La Mancha will be on at the London Coliseum from 26th April to 8th June. Want to see more of Kelsey Grammer? Catch him in conversation with Iain Lee for one night only at the Aldwych Theatre. Transferring from the National Theatre to the West End in 2019, The Lehman Trilogy charts the financial rollercoaster of the Lehman Brothers and their banking corporation. From being established as a small company, the corporation grew to become the fourth largest in the United States. But, as the company grew too big, it became unmanageable and ultimately fell, leading to one of the greatest worldwide recessions and the largest bankruptcy filing in American history. 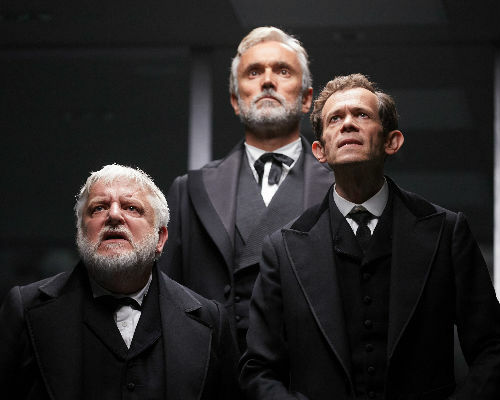 A finance story has undergone the theatrical treatment to be told in the West End, starring Simon Russell Beale, Ben Miles and Adam Godley. The Lehman Trilogy will be on from 11th May to 3rd August. After The Price, audiences flocking to the Wyndham’s Theatre will be able to see The Starry Messenger. Starring Matthew Broderick and Elizabeth McGovern, see a lonely astronomer begin an extra-marital affair with a younger woman in a story where following everything that was originally in the stars may not be the best course of action. The Starry Messenger begins on 16th May and plays for 12 weeks, closing on 10th August. Find out more about the upcoming production of The Starry Messenger with everything you need to know about the show. Set in 1997, go back to school with Education, Education, Education, a comedic play filled with popular culture references from the decade. When Tobias, a German immigrant starts a job as a language assistant at a local secondary school, he’s greeted by a group of eccentric schoolteachers. Education, Education, Education is at Trafalgar Studio One from 31st May to 29th June. The world premiere of Bitter Wheat will be performed at the Garrick Theatre, starring John Malkovich as Barney Fein, a disgraced Hollywood mogul who falls from a leading position in the entertainment industry to being shamed. Bitter Wheat will play from 7th June to 14th September. Transferring to the Gielgud Theatre after a critically-acclaimed run at the Donmar, Martha Plimpton reprises her performance in Sweat. Studying what it means to live in America at the turn of the decade, it’s a gritty drama that was written after Lynn Nottage interviewed residents of Reading, Pennsylvania. A Pulitzer Prize-winning play, Sweat will play from 7th June to 20th July for 50 performances. On Your Feet will be the Gloria Estefan spectacular to hit Theatreland in 2019. Find out about the Latino superstar at this production packed with her greatest hits including “Conga” and “Get On Your Feet”. Creating a Latin/pop crossover sound that inspired future generations of performers, this West End premiere is sure to be packed with infectious sounds, inventive choreography and lots of fun. On Your Feet will play from 14th June to 31st August. Based on the children’s book by Sue Townsend, The Secret Diary of Adrian Mole transfers to the West End, after a world premiere in Leicester and a run at the Menier Chocolate Factory. Follow the 13 and 3/4 year old teenager as he navigates school life with a diary, blending fictional life and real-life politics. The Secret Diary of Adrian Mole is at the Ambassador’s Theatre from 17th June. Andrew Scott will star as Garry Essendine in Present Laughter later this year. The play follows Garry, a middle aged comic actor whose preparing for a trip to Africa, with plenty of people vying for his affection. Present Laughter will play from 17th June to 10th August. Playing at the Vaudeville Theatre for just 10 performances, Three Sisters will be performed by the Maly Drama Theatre of St. Petersburg. Presented in Russian with English surtitles, see this Chekhov masterpiece come to life, in a story where personal desires and the everyday realities of their situation conflict each other. Three Sisters will play from 19th June to 29th June. Returning to the West End, the coat of many colours will light up Theatreland, as the story of Joseph and his brothers is told in Joseph and the Amazing Technicolor Dreamcoat to large audiences this upcoming summer. 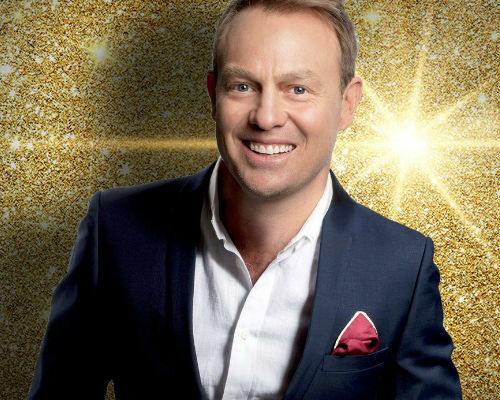 With Jason Donovan as the Pharaoh and Sheridan Smith as the Narrator and it’s likely we’ll all be saying “Go Go Go Joseph” when it plays in the West End. 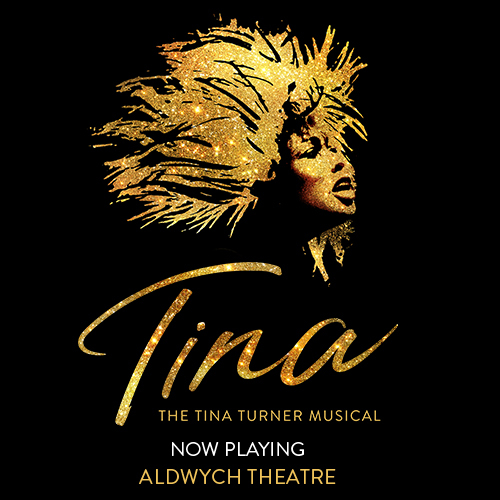 Catch one of the most iconic musicals, playing at the London Palladium from 27th June to 8th September. The Regent’s Park Open Air Theatre production of Jesus Christ Superstar transfers to the Barbican for just 60 performances in what is set to be an exhilarating musical for 2019. Dramatising the last few days of Jesus’ life, audience members will learn about the antagonistic relationship between Jesus and Judas, as well as Mary Magdalene’s involvement in the days leading up to the crucifixion. With a soundtrack including “I Don’t Know How to Love Him”, don’t miss your chance to experience a religious awakening at Jesus Christ Superstar. The show will play from 4th July to 28th August. Clive Owen, Lia Williams, Anna Gunn and Julian Glover star in the latest revival of The Night of the Iguana, last seen in the West End in 2005. Set in 1940s Mexico, the story follows Reverend T. Lawrence Shannon who has newly become a tour guide, leading a group of eccentric holidaymakers around the central American country. The show will play from 6th July to 28th September. Jay McGuiness returns to the West End to lead the cast of Big at the Dominion Theatre. Based on the 1980s body-swapping movie, McGuiness will play Josh Baskin, a 12-year-old who wishes to be big, later waking up with an adult’s body. Big will play from 6th September to 2nd November. 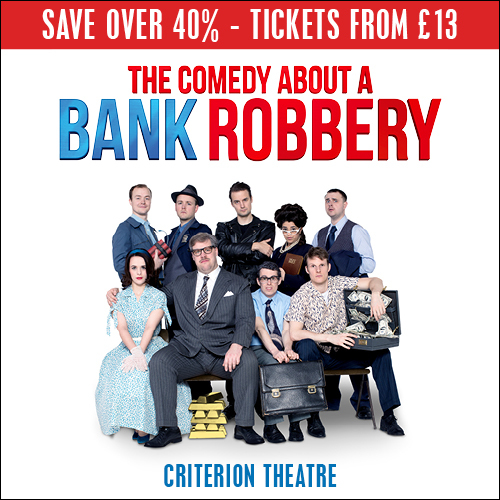 The West End will echo with laughter as the Mischief Theatre takes residency in the Vaudeville Theatre until August 2020. Groan Ups is the first of three new plays the company is bringing to the West End; all about teenagers, growing up and what happens in the first few years of adulthood. Starring original Mischief Theatre members, it’s a show you won’t want to miss. Groan Ups will commence from 20th September to 1st December. Exploding into the West End later this year, the world premiere of The Man in the White Suit will bring science-fiction, mystery and intrigue to the Wyndham’s Theatre from 26th September 2019. When a research chemist starts to wear a dazzling white suit with radioactive qualities, will his luminous outfit stand out from the crowd, or will his clothes and ideas begin to fray at the seams? 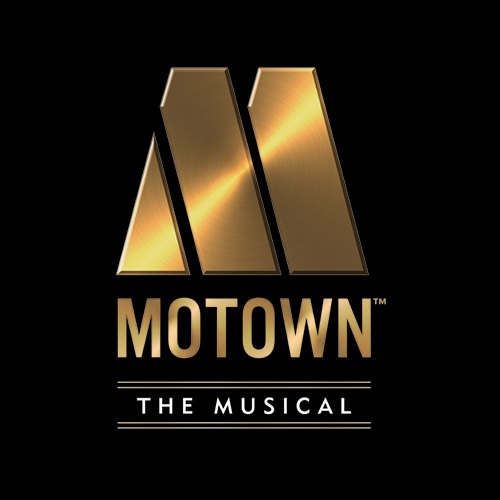 The Man in the White Suit will play from 26th September to 11th January 2020. The first show to be staged at the brand new theatre in North London will be the National Theatre production of War Horse. See Albert on his travels through England and France in order to be reunited with his horse Joey, who was sold to cavalry to assist the war effort. The lifesize puppets come back to the London stage in this jawdropping production that has been seen by 8 million people worldwide. War Horse will play from 18th October to 23rd November. Sure to be one of the West End’s hottest tickets for 2019, Mary Poppins flies into the Prince Edward Theatre once more. Zizi Strallen and Charlie Stemp lead the cast as Mary and Bert in an exciting play guaranteed to capture the imaginations of minds young and old. Mary Poppins will play from 23rd October 2019. Learn more about Mary Poppins’ journey to the stage here. 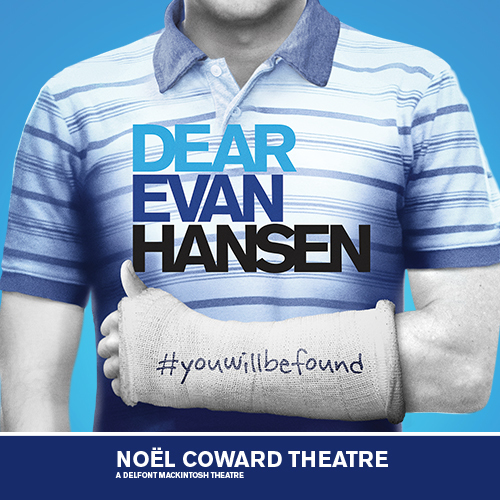 DEAR EVAN HANSEN arrives in London at the Noël Coward Theatre later this year. A profound, new musical about life and the way we live it, DEAR EVAN HANSEN has an original score by the Academy Award-winning songwriters of The Greatest Showman and La La Land, Benj Pasek & Justin Paul. DEAR EVAN HANSEN will play in the West End from 29th October. Miriam Teak-Lee, Oliver Tompsett and Cassidy Janson star in & Juliet, placing the young Capulet woman in the centre of her own story. While finding herself in Paris with the Nurse, the musical’s soundtrack includes hits by Britney Spears, Ellie Goulding and The Weeknd. & Juliet will play from 2nd November. Danny Mac and Dan Burton will star in the feel-good seasonal production at the Dominion Theatre. Featuring toe-tapping choreography to dazzle any audience member as well as a festive soundtrack including “White Christmas”, you’ll want to book your tickets as soon as possible. White Christmas will play from 16th November to 4th January 2020. 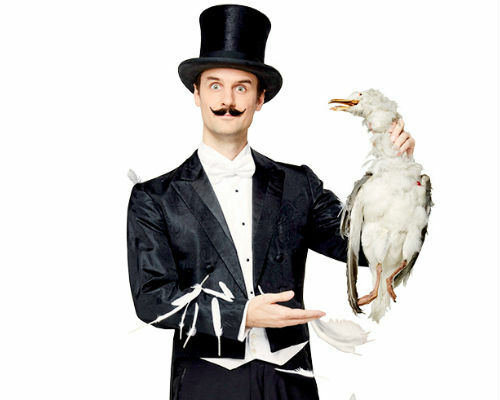 Mischief Theatre’s second show as part of their 12 month residency sees the company become magicians at Magic Goes Wrong. Combining theatre and on-stage trickery with the help of collaborators Penn & Teller, the play sees the cast attempt to raise as much money as possible at a charity event. Magic Goes Wrong is at the Vaudeville Theatre from 14th December to 15th March 2020. 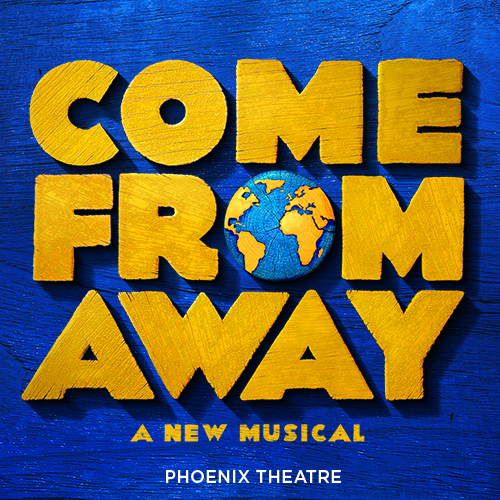 Inspired by true stories of those stranded in Gander in the immediate aftermath of 9/11, Come From Away will make you re-evaluate your preconceptions of the terrorist attacks in New York. With 12 people playing over 80 characters between them, you’ll be immersed into a small Canadian town that, out of the kindness of their hearts, welcomed in thousands to their Newfoundland community and how they became known as “Come From Aways”. Come From Away began on 30th January. With Gillian Anderson and Lily James leading the cast, it’s no surprise that All About Eve has gained a considerable amount of media buzz around it already as a smash hit for 2019. Directed by Ivo van Hove, it’s based on the 1950 film that won six Academy Awards and shows what can happen when a career can be exploited. 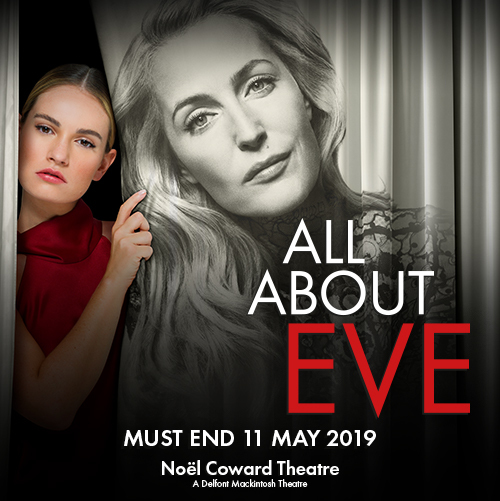 All About Eve will commence on 2nd February and play until 11th May. Transferring from Theatre Royal Bath to the West End, David Suchet and Brendan Coyle star in The Price, an Arthur Miller play concerning brothers and family possessions after their father has passed away. As the story develops, it’s clear that the price of possession has more than just financial consequences. The Price will play from 5th February to 27th April. Made up of four previous Strictly Come Dancing contestants, these ex boyband members and Olympic gymnast take to the West End in this musical extravaganza all about the swinging sixties. See Jay McGuinness, Aston Merrygold, Harry Judd and Louis Smith take to the stage as they move and groove to songs by The Beach Boys and The Beatles in this fun production. Rip it Up plays from 7th February to 2nd June. Starring celebrities, find out all the celebrities that are appearing in the West End with our guide to star spotting in Theatreland. A star cast including Katharine McPhee, Jack McBrayer and Marisha Wallace star in the West End premiere of Waitress, featuring an original score by Sara Bareilles. When Jenna, a small-town waitress falls down on her luck, she begins to think that there’s no way out. Seeing that there’s a local pie competition with a large cash prize, she decides to enter in the hopes of starting a new life for her and her unborn child. Waitress began on 8th February. Parking the Reliant Regal into the West End, see the lovable Del Boy, Rodney and Grandad on stage in this Trotter-filled musical in 2019! Bringing Peckham to Theatreland, you’ll see the entire Only Fools and Horses gang come together in an all-singing, all-dancing extravaganza with plenty of flat-cap action. Sure to be full of Cockney charm, don’t miss your chance to see this world premiere adaptation of a BBC classic. Only Fools and Horses: The Musical played its first performance on 9th February. Only Fools and Horses: The Musical tickets are available now. Transferring from Broadway to the West End in 2019, Admissions tackles private and public opinions of race and educational privileges. The play follows Sherri, a headmaster who strives to make her school appear more culturally diverse. Yet, when she’s applying for her son to go to an elite university, she plays up to the stereotypes in order for the family to be accepted into the Ivy League. Alex Kingston will star in this production that’s set to make audiences think about their professional values. Admissions will play from 28th February to 25th May. Compressing five seasons of a television show into a stage play is no mean feat, however Anne Washburn’s of the CBS show The Twilight Zone manages exactly that. See the best bits of the 1950s television show brought to life, as well as cultural references later taken into the storyline of future shows, inspiring episodes of The Simpsons and Black Mirror. A theatrical walk into the other side, this West End play will be a creepy, yet comedic play. The Twilight Zone will play from 4th March to 1st June. The Twilight Zone tickets are available now. 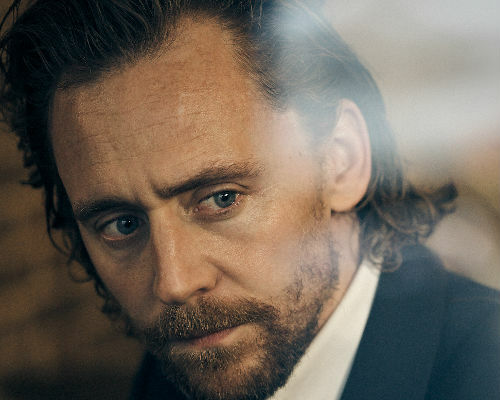 Tom Hiddleston, Zawe Ashton and Charlie Cox headline a star-studded cast set to perform in Betrayal, as a last hurrah to the Pinter at the Pinter season. As the play opens, audiences meet Emma and Jerry after a seven-year extra-marital affair to each other. Told in reverse chronology, the story tells us how the affairs came about, as well as exploring love, relationships and infidelity. Betrayal will play a limited engagement from 5th March to 8th June. Betrayal tickets are available now. After playing at the Globe Theatre in 2018, the story of 17th-century female writer Emilia Bassano will be told in the West End at Emilia. Find out about the astonishing British laureate, who fought against prejudice and preconceived gender ideals to become one of the greatest writers of her time period. Starring an all-female cast, see Emilia and her sisters reach out to show the audience that it’s not all about William Shakespeare. Emilia will play at the Vaudeville Theatre from 8th March. 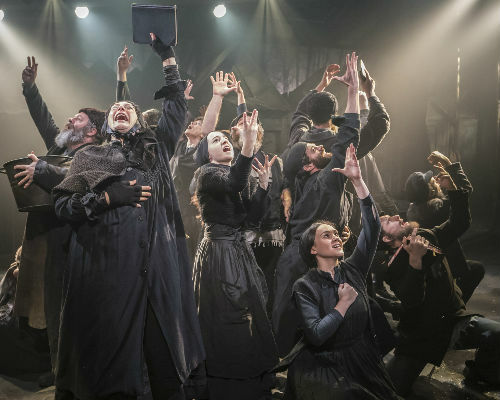 Transferring from the Menier Chocolate Factory, the Playhouse Theatre will become the intimate venue for Fiddler on the Roof. Starring Andy Nyman and Judy Kuhn, see the story of Tevye, Golde and their five daughters in this electrifying production about keeping hold of your beliefs, even if they’re tested. Fiddler on the Roof will play at the Playhouse Theatre from 21st March, with an extended booking period to 28th September. Join your favourite childhood characters in this musical spectacular, bringing the world of Peter Rabbit to the West End for the first time. Where is Peter Rabbit? is based on the original tales by Beatrix Potter, with Peter Rabbit, Jemima Puddle-Duck and more like you’ve never seen them before. Where is Peter Rabbit will play at Theatre Royal Haymarket from 3rd April to 28th April. Where is Peter Rabbit? tickets are available now. Based on the award-winning autobiography by Nigel Slater, Toast presents Slater’s life on stage, told through the tastes and smells that mix his childhood stories together. Waging war over cakes and the rigid rules of restaurant dining come together in a tale of love, loss and toast. this is a moving and evocative tale of love, loss and…toast. Toast is at The Other Palace from 4th April to 3rd August. Toast tickets are available now. Danny Dyer and Martin Freeman starred in Pinter 7 made up of two parts: The Dumb Waiter, where two hit-men sit and wait for their next target to approach, with their future cases taking an unexpected turn. Pinter 7 closed on 23rd February. When the stock market crashed in 1929, everything changed. The American Clock told the story of the Baum family as they came to terms with their new financial situation and make the most of current events. The American Clock closed on 30th March. Home, I’m Darling transferred from the National Theatre to the West End. Starring Katherine Parkinson as Judy, a high-flying businesswoman turned model 1950s housewife, it’s a show that’s sure to excite, delight and rally audiences to the Duke of York’s Theatre to see this smash-hit comedy in action. Home, I’m Darling closed on 13th April.